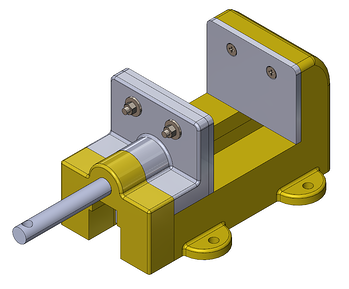 Sometimes our assemblies require additional components or items that may not be visible within the actual 3D SOLIDWORKS assembly. I encountered a question from a customer who was using a sealant on an O-ring in their design. They still wanted to track the usage of this sealant on their Bill of Materials (BOM) but didn’t feel it was necessary to create a 3D component for it within the SOLIDWORKS assembly. 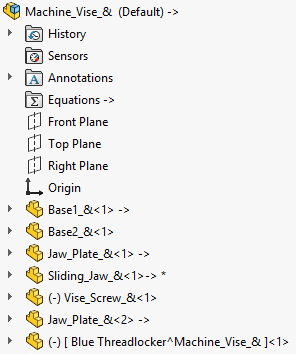 We can always add our own custom rows to a BOM if we wish to manually add additional components or items when we’re creating SOLIDWORKS drawings. This doesn’t always help us track it parametrically, though. 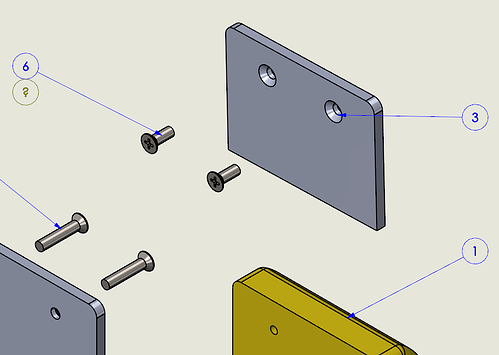 In cases where our BOMs are being generated by a PDM system, like SOLIDWORKS PDM Professional, it can be helpful to have an actual component in the assembly, even if that component has no geometry. The fasteners used on the jaw plate will require some threadlocker compound so that they don't become loose over time. 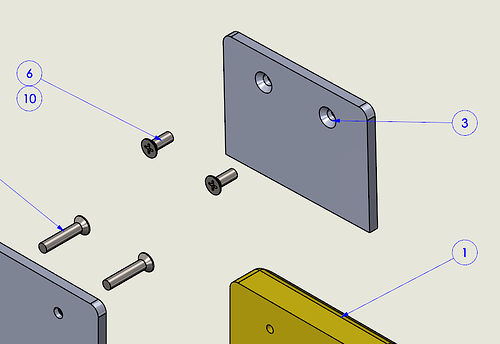 This threadlocker is not something you would typically need to model in SOLIDWORKS, as it’s simply a liquid that will be applied to the threads of the fasteners. 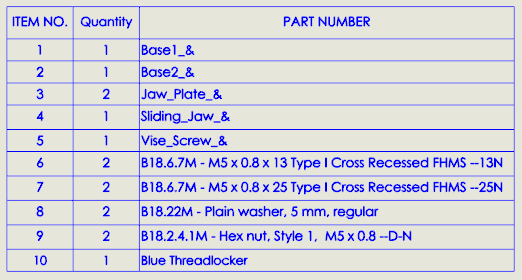 However, I still like to track its usage and make it clear on our assembly drawings that it's required. Once these components are added, it can sometimes be tricky to attach a balloon to show where it's used in the assembly. There are a couple ways this can be done. The first method is to place a blank balloon wherever necessary for the placeholder component. This will add a balloon with a question mark. That balloon can be reattached by right-clicking on it, selecting “Reattach,” and then choosing the component from the assembly tree embedded within the drawing view’s tree. You also have the option to add stacked balloons. In this case, adding these would make sense since the threadlocker will need to be applied to the fastener. To do this, select “Insert > Annotations > Stacked Balloon.” You can choose to insert a balloon for the fastener, and then add a blank stacked balloon by clicking anywhere in the empty area of the drawing. The second stacked balloon will appear with a question mark, but you can use the same process to reattach it to the threadlocker component in any assembly tree. This tip will help you to more effectively track components such as lubricant, threadlocker, etc… in your assemblies, as well as show them in use on your assembly drawings. Want to learn more SOLIDWORKS tips and tricks? Check out our different training classes throughout the Eastern United States.